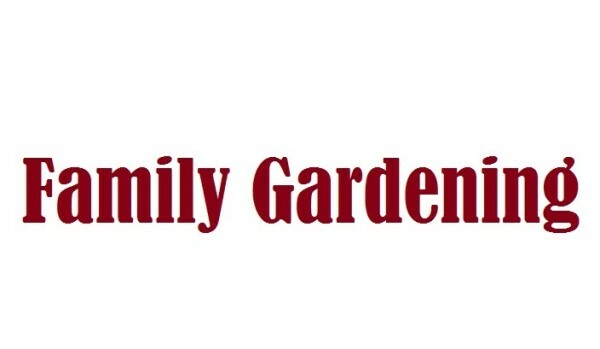 Here’s a letter from a new SFG gardener in Chicago….and she got the whole family involved! Just wanted to send a thank you. I purchased your book last fall, read it cover to cover in one weekend, and could not wait to start rehabbing my garden. Well, spring has arrived and I am one happy gardener. Since we are a homeschooling family we used the box construction, Mel’s mix prep, and vegetable spacing as lessons. What wonderful lessons they were… the best we ever had! My eleven year old son drew up plans and built beautiful boxes. As a family we had a blast mixing up the Mel’s mix. I have not played in the dirt in a long time and it was too much fun. My fourteen year old son even caught the fever and jumped in and did a herb box. I was amazed he became so interested… he has checked “his garden” every day! My little Chicago plot has been transformed. I am so proud I think certification is calling me. Pictures have been sent to our local papers. Hopefully others will be inspired and follow our move to Square Foot Gardening. I only have one problem… what will I d o with all the time I have available since I won’t be pulling weeds this year? . Thank you so much for your wonderful letter. You have just proven all the things that I have been teaching all these years. Square Foot Gardening is a wonderful family event! It’s fun, no matter how you do it. But, with Square Foot Gardening there are so many wonderful lessons there. We have a teacher in California that teaches every single subject in her classroom based upon their Square Foot Garden right outside their door. She does that because they are excited and interested in gardening and therefore interested in the lessons she teaches them. Not just about math, but everything they are interested in and they begin to see, hey I could use this later in my life. How many of us have gone through school and said, “Why do I have to learn this, I will never use it?” All that is over now, if you use Square Foot Gardening to teach. One teacher said, “We are going to write the author a letter about his book.” When they all sat down to write, there was penmanship, spelling, proper English, how to write a business letter, and they described their feelings and what they were growing. It also included composition. Then, she had everyone stand in front of the class and read their letter to the class. So, there is public speaking, pronunciation, fear of getting upon the stage, and applause and recognition. The list went on, and on, and on. As soon as they came to a word they didn’t know, they Goggled it, learned the history of it and studied it. Vermiculite. Who knows what vermiculite is? Once they knew what it was, and knew that it was mined out of the earth, they learned that it was natural and organic. Then she said, “Let’s search and find all the mines in the world.” Well, it turns out that vermiculite is all over the place. So they had to take a map of the world and color in all the countries that had vermiculite mines. Then she said, “How could we transport this?” Then they had to look into ships and planes and trains and all kinds of transportation and geography. Then they had to learn about how vermiculite was made. That was in to geology. How long ago was it formed in the earth? Were dinosaurs around then and all that kind of stuff? They were excited and interested in learning. It is amazing! You’ve done that with your family and with teenagers. That’s wonderful. Congratulations! You might also want to get the Children’s lesson plan http://www.squarefootgardening.com/books/square-foot-gardening-lesson-plan-for-children/ to give both you and the kids’ ideas on what and how to teach. Hey I just thought of an idea. Do your kids need some extra money? Who doesn’t! They, under your supervision could have a class or two on Starting a SFG. They could do that right in your back yard. Of course, to teach the entire system, you first have to become a Certified Teacher/Instructor. But, just a talk aimed at family’s or kid’s gardens, would sure fit in with that. Well, you asked what are you going to do with all the time you are going to have, because you are not hoeing or pulling weeds? Well, I have a suggestion. Why don’t you become a certified instructor, an SFG certified teacher/instructor. You can do it at home. You can even get the kids to do it. We have a couple of teenagers that are now certified as teachers in Square Foot Gardening. One in Illinois and one in Holland. Let your kids be the instructor and you be the student. Let’s see how good they are at teaching. It could be a wonderful family project. Keep up the good work and thank you for your wonderful and eventful letter. I’m just hoping that you will be a model for all other families that read about this in my blog.